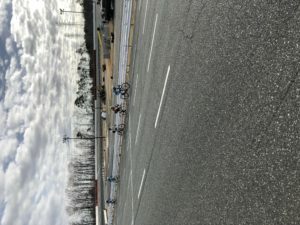 First Road Race of 2018! The first Road Race of the year is complete! 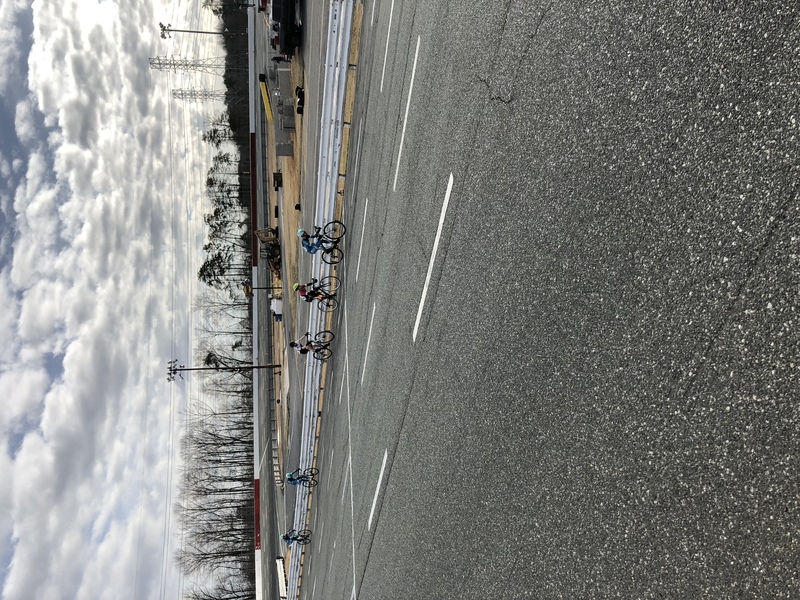 The junior team raced at Ace Speedway this morning with all but a sick Wes Haggstrom lining up. 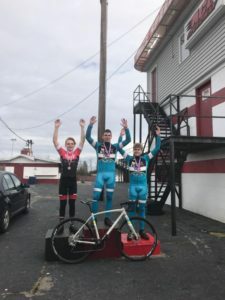 Niko grabbed the win and Jacob took 3rd! Everyone had a great time and were all smiles afterwards. 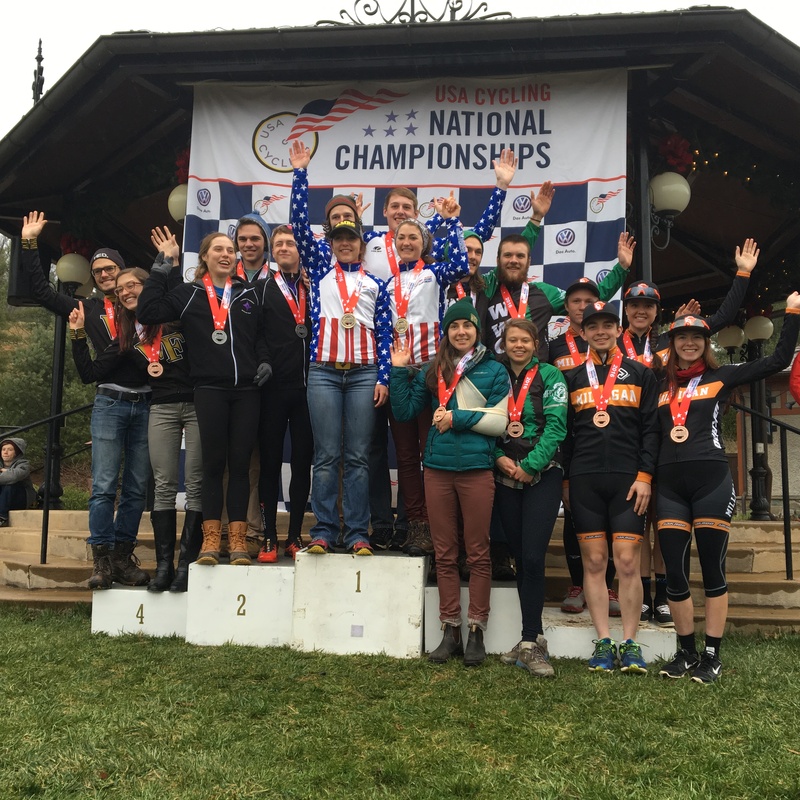 The guys doubled up and raced the 4/5 race as well and had the opportunity to race with u23 teammate Ben Hostetler and the other big kids. It was a good experience and great training. 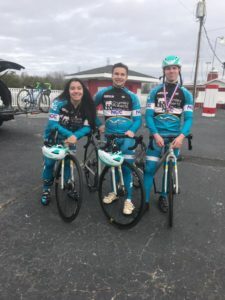 Huge thanks to Triangle Velo for letting all the junior racers do the 4/5 at no extra cost!!! 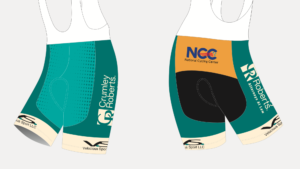 The pieces are all coming together for this year! 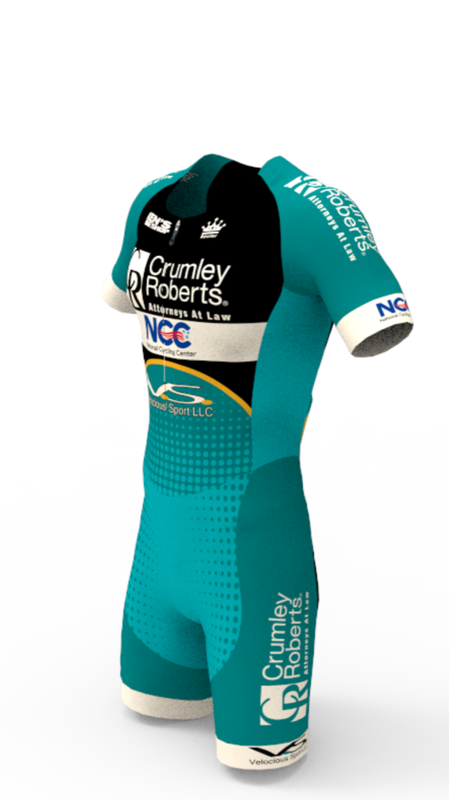 Half of the Rouler team clothes made it to the US, the rest should be here next week. And, the helmets arrived today! 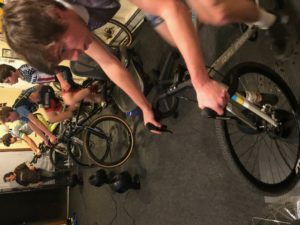 The juniors finished up the NCCX Series this past weekend and hit Zwift for some racing on Tuesday. 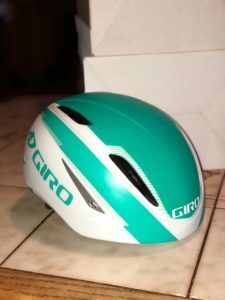 Road season is just a few weeks away after all. 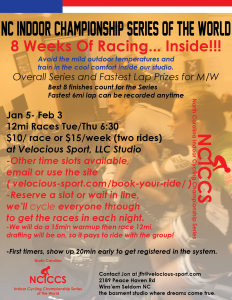 Everyone on the team is excited to get back to the Dixie Classic Criterium Tuesday nights in March! It was new bike day last night at the Junior Studio ride! 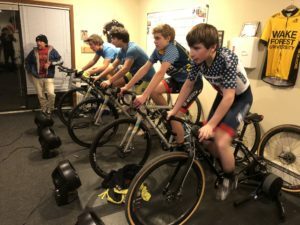 We have four of the five bikes built up and three lucky kids got to ride theirs at the biweekly training race last night. 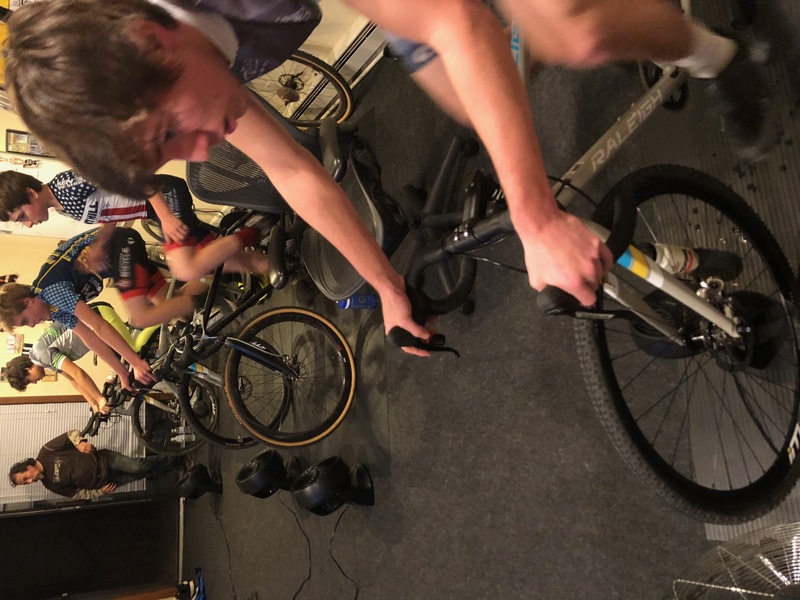 The kids had a fantastic race on Zwift with a huge group of very fast adults, including former NRC Stage Race winner of Healthnet and Jelly Belly, Mike Jones. 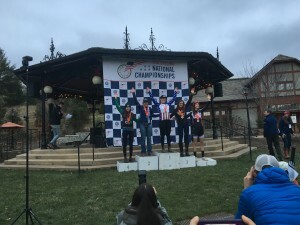 Wes Haggstrom finished 6th overall, in the group just 25 seconds behind SoPro Jones! 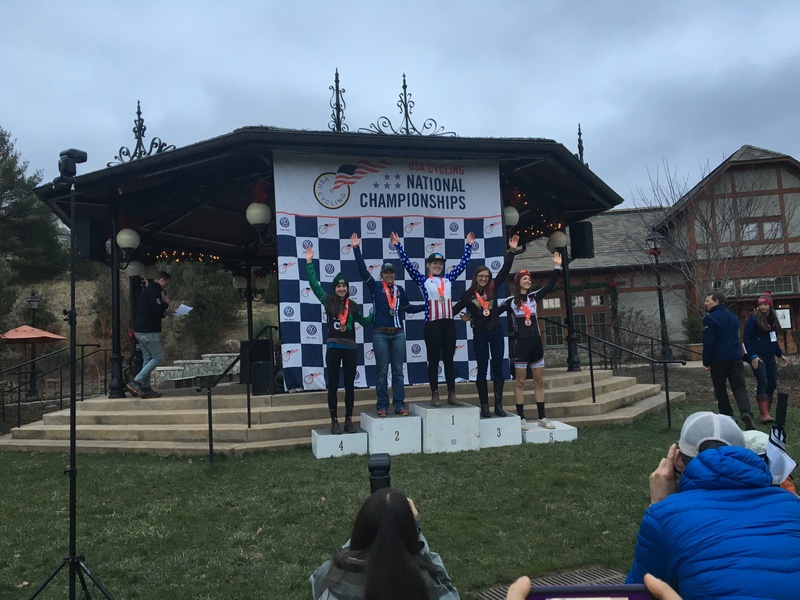 That’s why he wears the National Champ skinsuit… the kid is fast, really fast. 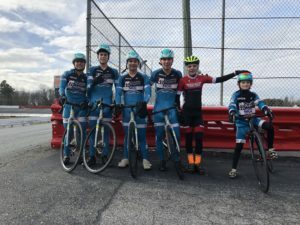 Thanks entirely to our partners, we are giving these young men and women a huge opportunity to experience an amazing sport! 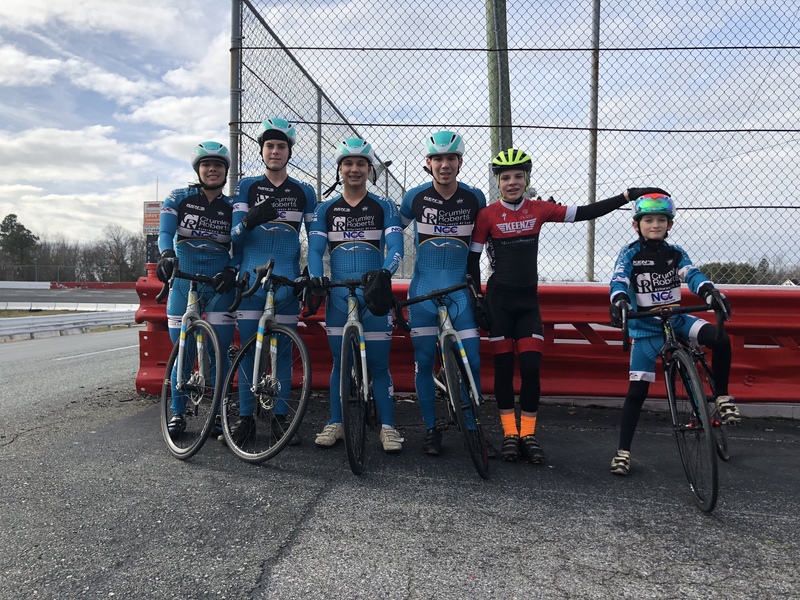 Good news from the Velocious Sport Racing Team, we are set to continue with our Junior and u23 racing team next year. 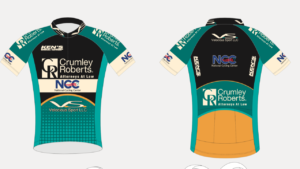 Our second year is shaping up to be better than our first with solid sponsorship again from title sponsor Crumley Roberts and new presenting sponsor the National Cycling Center as well as continued support from Ken’s Bike Shop. 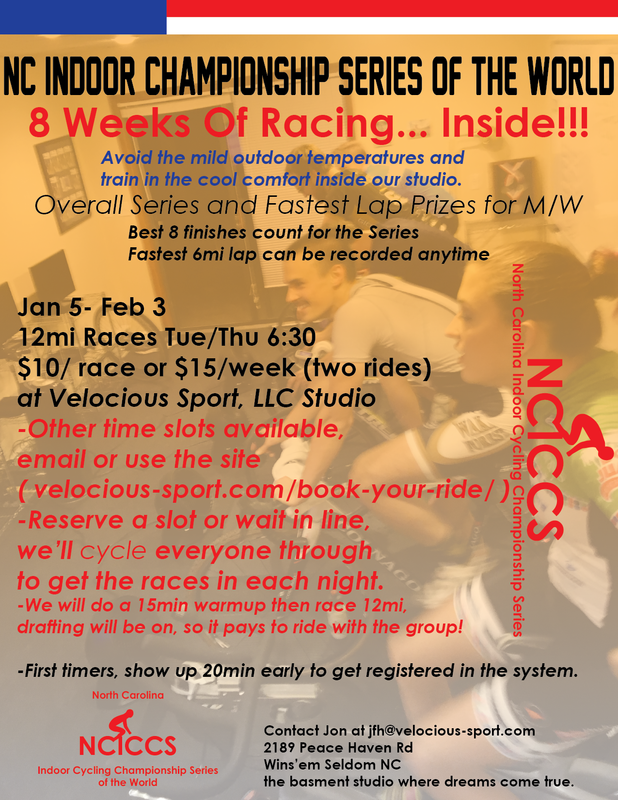 New riders starting with us in January include junior Jacob Bernas and u23 Ben Hostetler. More details and Team Presentation info later! 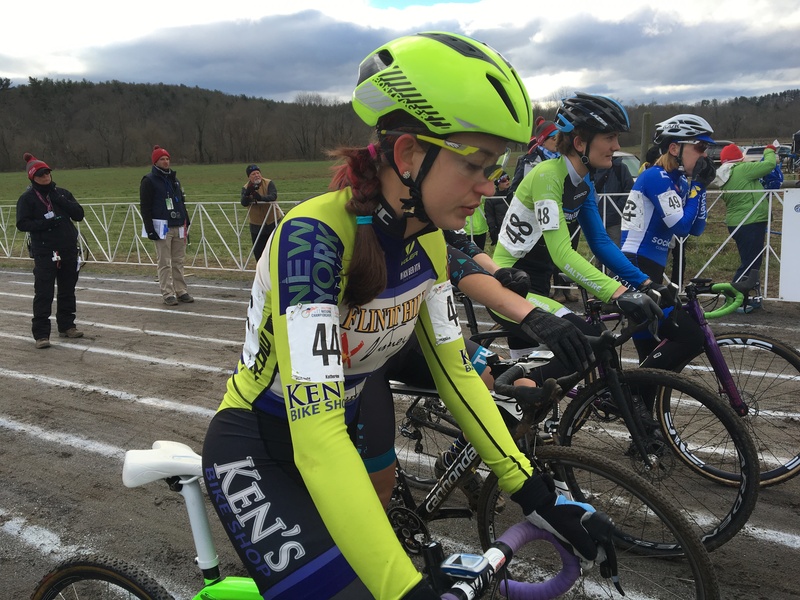 Angelina Stevens has been tearing up the NCCX series this Autumn! 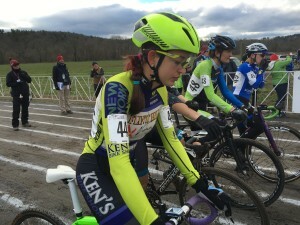 With a WIN, two 2nd places, and a 5th, in the first five races, she is leading the series in the Women’s Pro 1/2 category!